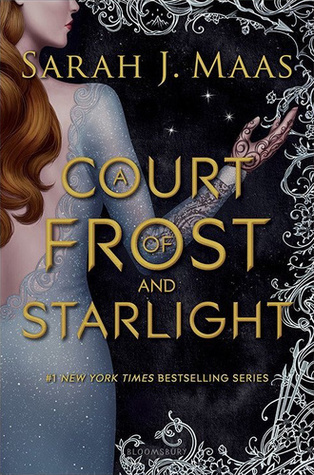 Months after the explosive events in A Court of Wings and Ruin, Feyre, Rhys, and their companions are still busy rebuilding the Night Court and the vastly-changed world beyond. But Winter Solstice is finally near, and with it, a hard-earned reprieve. Yet even the festive atmosphere can’t keep the shadows of the past from looming. As Feyre navigates her first Winter Solstice as High Lady, she finds that those dearest to her have more wounds than she anticipated–scars that will have far-reaching impact on the future of their Court. I’ve always really loved Sarah J. Maas’ books. She’s a good writer, provides good backstory, gives characters depth and meaning. HOWEVER, A Court of Frost and Starlight fell short for me. It doesn’t surprise me that these characters are having a difficult time adjusting to life post-war. Its a very real thing, PTSD. And I felt like this “mini-novel”- because it isn’t a novella and it isn’t a novel either- didn’t take us anywhere, didn’t help the characters. We, again, saw most of the events through Rhys and Feyre’s perspective, and we still learned nothing new. The others were there, but it didn’t build upon their story. Their chapters also didn’t bring us any closer to understanding their PTSD. I felt like this was fluff, but a fluff I didn’t need. A fluff that could have been inserted in the true 4th novel with flashbacks, or some other story driving force. Sadly, this just felt like a waste of my time. On Goodreads, I gave it three stars, and that was generous. This is what I wanted and what I did not want. Let me explain. My heart hurt to see them so… broken. The book was told through four POV’s, Rhys & Feyre (not surprising) and Cass & Nesta (Interesting). I assume Sarah did it this way to start getting us familiarized with Cass and Nesta being the main POV’s from here on out. Now onto the good stuff. I really thought the book would be more happy, but who am I kidding? I should have known how broken and sad the characters were going to be. I was surprised with Nesta’s actions. I always thought her rebellion would be manifested a different way, but alas I was wrong. Overall, I expected more from this book, yet I was pleased with how she managed to wrap up Rhys & Feyre’s story in order for us to move onto Cass and Nesta’s. I wish we could have seen more of Az or the other characters of the inner circle and seen their struggle after the war, but I do understand that the focus was Rhys and Feyre. All the past books in the series had weight to them while this one was just a transition book which is why I am not being so hard on it.